aasp is led by dedicated advancement services professionals who seek to strengthen their profession and those who work within it. The aasp Board of Directors is elected by the membership present at the organization's annual meeting, in accordance with the aasp bylaws. The Nominations Committee solicits nominations for the board from the membership and submits a slate of candidates at the annual meeting. Directors must be members in good standing of the organization. They are elected for three-year terms and are eligible to be reelected once, serving on the board up to six consecutive years. Terry has been a leader in advancement management for over 20 years, serving as the Associate Vice President for Information Technology, Records & Gift Processing at Rutgers University. Throughout her career, she has transformed the technology environment at Rutgers University Foundation from a three-person transactional reporting office to a strategic, data driven leader in information management and gift processing. Terry has proposed and installed the first robust advancement system (AWA) and reporting application in Crystal Reports and Business Objects. This was the beginning of a transformation that continued through many platforms including: iModules, Cvent, and other online giving platforms and data augmentation strategies. Recently, she developed a three-year strategic plan to transform information systems to a mobile-forward, data-driven technology model. Her vision is to make advancement services a more integral part of the development process. As of April 2017, Thomas Chaves is the Associate Vice President for Advancement Operations at St. Joseph's University in Philadelphia. Prior to that, he served as the Associate Vice President for Development & Alumni Relations at Lehigh University for eight years and led the traditional advancement services areas of information processing, reporting & analytics, & prospect management & research. He has also led the implementation of strategic talent management within Lehigh's Advancement organization as well as Campaign Management programs and initiatives. Tom is passionate on how to bring together people, systems, & processes to support the art and science of advancement. Tom spent over 17 years at SunGard/SCT working with over 100 higher ed clients to implement and effectively use advancement software. He chaired the 2010 CASE Senior Advancement Services conference, chaired the 2013 & 2014 CASE Summer Institute for Advancement Services and was a member of the Banner Advancement advisory board. He is currently a member of the iModules Strategic Advisory Board and works closely with other advancement services leaders in understanding the advancement software landscape. He just completed serving as President of aasp in 2016 and has been on the board since 2008. Tom finished a 9-year tenure on Albright College's (Reading, PA) Alumni Association board where he was president the last two years. He enjoys running marathons, completing running one per state in 2014 as part of his 50 by 50 by 50 goal. Lisette Clem is Director of Advancement Services at Bryant University in Smithfield, RI, which is also her alma mater (BSBA, MBA). 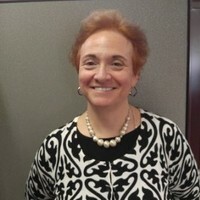 She manages a brilliant team of advancement services professionals who specialize in gift processing, data integrity, database management and reporting, coordination of direct mail projects, prospect research and management, budget management, development and alumni relations officer support, and analytics. Lisette has over 20 years' experience serving the nonprofit community. Her prior experience includes serving as director of advancement services at Providence College where she was the functional project lead on a database conversion project, as well as positions in both development and advancement services at the Diocese of Providence, an independent school system in RI, and an international child sponsorship organization. One of Lisette's passions is serving the nonprofit community as an active volunteer, and she currently holds board positions with three nonprofit organizations in RI and southeastern Massachusetts. 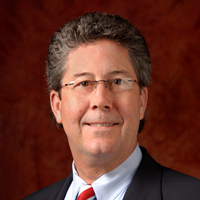 Dr. Wayne Combs is a leader in campaign and advancement management with over 25 years of experience supporting higher education and healthcare. He serves as Associate Vice President of Operations and Administrative Services for CHOC Children's Foundation. At USC Rossier School of Education, Dr. Combs teaches courses on Creativity and Innovation, Strategic Communications and Economics and Finance in the Organizational Change and Leadership program. In support of philanthropy, Dr. Combs delivers presentations on emerging trends while serving as Vice President of the Association of Advancement Services Professionals and as Chair/Faculty for the Council for Advancement and Support of Education. Dwight D. Dozier currently serves as the CIO of the Georgia Tech Foundation, responsible for the leadership and oversight of all enterprise advancement technology solutions. Prior to Georgia Tech, he served as senior associate vice president of advancement at the George Washington University, responsible for the areas of alumni relations, advancement services, constituent relations, and markets. 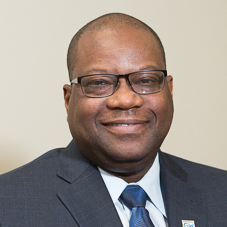 Prior to his work GWU, Dwight served as the associate vice president of university advancement and advancement services at the University of Louisville, assistant executive director of alumni services at The Pennsylvania State University, and as manager of biographical records and systems analyst at Washington State University. With more than 35 years of experience in higher education advancement, Dwight has been a faculty member, presenter, and institute and conference chairs for CASE (Council for Advancement and Support of Education) and has served as a commissioner on the CASE National Commission on Philanthropy in Washington, D.C. Dwight was also involved with CASE Kentucky as a board member, annual conference chair, and president of the organization. Dwight is a graduate of Washington State University and an active jazz musician. 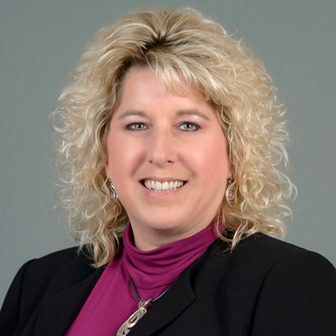 With 21 years of advancement services experience, Teresa is well-versed in identifying and achieving fundraising goals. At DePauw University, Teresa works to ensure overall fundraising success on DePauw’s Information Security Committee. Teresa is certified in Fundraising Operations by Rice University and is passionate about serving fellow AASP members by using her experience, knowledge, and passion to further the mission of aasp. She served as Program Chair for SunGard conferences and continued building network of advancement services professional through conference events. Teresa is a presenter at various conferences and CASE V. Private consulting with various universities on system use and reporting strategies through established professional relationships. Jessica Schrider LaBorde is the Assistant Vice Chancellor of Advancement Services for the University of California, Davis. Jessica and her team develop and provide advancement services solutions with the front-line fundraiser in mind. 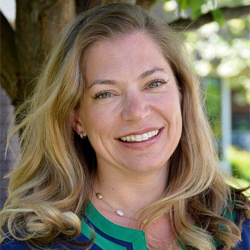 With nearly 25 years of experience in corporate sales, political and nonprofit fundraising, and philanthropy operations, Jessica is passionate about improving both internal and external processes to drive a leaner, more efficient business while supporting the UC Davis philanthropic goals and priorities. Jessica is active in CASE as both a speaker and an awards judge for Advancement Services Programs. She holds a BS in Mass Communications and a BA in English Literature from Appalachian State University and has completed her Executive MBA. When not fearlessly leading her team to new professional heights, she takes pleasure at home and abroad by gardening with her tween twins, supporting farm-to-fork initiatives, and sampling family-owned wineries and microbreweries with her charming husband. She is also a voracious reader who enjoys napping nearly as much as turning pages. 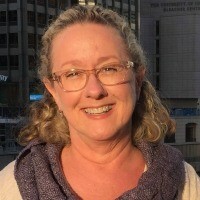 Anita Lawson has been a development professional for more than 20 years and has enjoyed a rewarding career supporting diverse non-profit organizations with expertise in gift administration, process re-engineering and database conversion management. In April 2015, Anita accepted a position as Director of Development Operations with the Los Angeles Philharmonic Association (LA Phil) to build the capacity of that team in support of a major campaign for the orchestra's 100th anniversary. Prior to the LA Phil, she was Advancement Services Manager at the RAND Corporation in Santa Monica, CA. Anita has held advancement services leadership positions at Communities Foundation of Texas and Susan G. Komen For The Cure headquarters, both in Dallas, TX, as well as the Natural History Museum of Los Angeles and Art Center College of Design in Pasadena, CA. 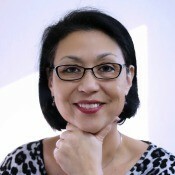 Anita has served on the board of CASE IV and is a founding member of aasp. 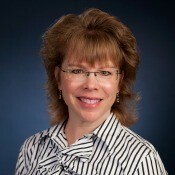 Jennifer is the Director of West Coast Client Services for DonorSearch. Prior to joining DonorSearch, she was a Senior Consultant for Zuri Group, where she delivered counsel to clients across non-profit sectors (Higher Education, Healthcare, Arts, Public Television, Community Improvement, etc.). She was formerly the Senior Director of Development & Alumni Relations Services at the University of Delaware, where she guided the Prospect Research, Systems & Reporting, Data Integrity, and Gift & Record Management functions. She is an active member of aasp, CASE, Apra, and CASE. She has over 25 years of professional experience in advancement services; having worked at both public and private institutions of higher education (University of Oregon and Vanderbilt University) as well as in development consulting (Bentz Whaley Flessner, JLC Consulting, Mission Focus). As a consultant, she specialized in business process re-design, working with clients such as the University of Rochester and Georgetown University to streamline business practices in alignment with industry standards. Jennifer has served on the aasp Board since 2010, holding the office of Secretary since 2013. Jennifer holds a BS in Telecommunications and BA in Public Relations from the University of Oregon. 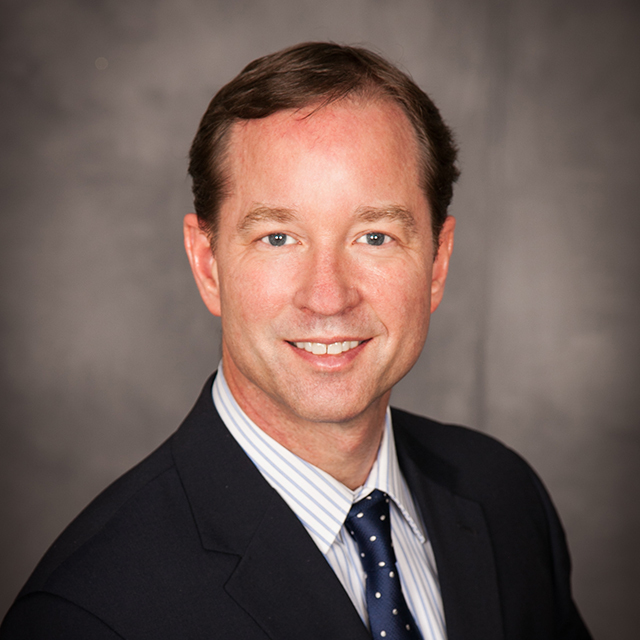 While consulting on a part-time basis beginning in 1994, John resumed full-time consulting services in June 2013. He consults nonprofit organizations to enhance the operational aspects of development and advancement and assist them in both strategic and campaign planning. His work with clients involves auditing advancement operations, determining preparedness for comprehensive campaigns, and assessment/development of policies, procedures, and protocol John’s expertise also helps organizations develop and maintain effective database management policies, including pre-conversion systems assessments and post-implementation analysis. Board and professional staff development are also among his service offerings. Mark has over 9 years of experience in advancement services where he has transformed various aspects of Illinois State University, University of Houston, and University of California, Davis. Some major accomplishments include creating systematic processes and business rules to manage and provide control mechanisms for mass emails sent on behalf of institutional clients to over 180K alumni and external constituents. Additionally, from the University of California Davis, Mark led a pre-summit workshop focused on Data Analytics & Business Intelligence. His vision for the profession is to continue to find innovative ways to enhance the relationship between an organization and its donors, constituents, and friends. 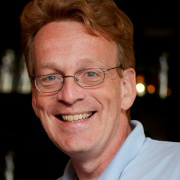 Mark believes that vision can be achieved by creating an organizational environment similar to an “open source” initiative that provides a framework for professionals to accomplish their goals through an established framework created by individuals/groups/teams in the advancement services profession. Shomari White is currently the Associate Vice President, Foundation Operations at the Children’s Hospital of Philadelphia Foundation (CHOP). 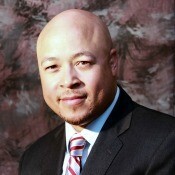 Prior to his arrival at CHOP, Shomari spent 13 years as Associate Vice President of Foundation Business Operations for Children's Hospital Foundation in Washington, DC where he oversaw prospect research, information systems, gift processing, financial management and reporting, and quality assurance and compliance. 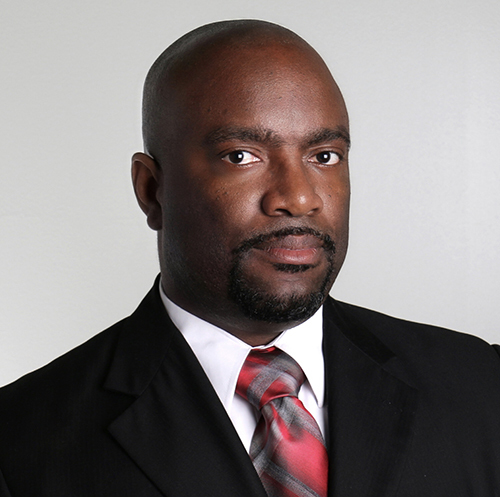 Prior to his arrival to Children's of Washington D.C., Shomari spent 7 years at Verizon where we he served in several senior management roles in finance and data reconciliation and won numerous management awards for leading the top sales and service call centers in the Verizon Potomac region. Shomari has a bachelor's degree in business management from Howard University, and an MBA from the University of Maryland University College, Graduate School of Management and Technology.